Pepper Jane and her guitar, Maureen, present a cross-genre repertoire of favourites, surprises and originals that swing from lofty folky croonings to belted lashings of aural delights. Growing up on a mixed enterprise farm on the Darling Downs, Pepper was singing from a very young age, in churches, school choirs, musicals and on a tree stump at the bus stop. In addition to lessons in dramatised speech, piano and violin, she received some classical vocal training during high school and arts council performance ensembles. 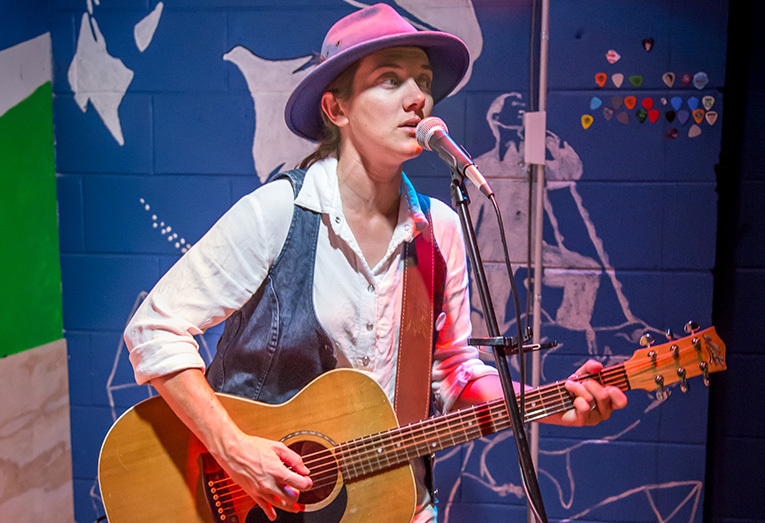 During her early teenage years, the sporadic Miss Jane began a new adventure with wood and wire, learning a few guitar chords and penning a few tales of woe and misdirection. Some (undisclosed) years later she picked up a guitar more intentfully, to begin cultivating the charismatic purveyor of honesty that is Pepper Jane. Meanwhile, after graduating university with a Bachelor of Agricultural Science, pouring beers for a few years, then getting a 'real' job (without the haircut) as an agronomist, 'the itch' remained. The individual itch we all have in our soul that hints at what we'd really be doing if we really liked and honored ourselves. An itch no salary, company car or topical cream can dissuade. So, after a very rare holiday break at Woodford Folk Festival, where she managed to land two and a half minutes onstage, and an unfortunately dry summer: the time had arrived to leave agronomy, pizza delivery, pouring beers and workaholism behind. To chase the dream. Nay, to live it.